Invotra’s relationship with the UK Government has gone from strength to strength. In just five years, Invotra has gained a 48% share of the total end user base of civil servants in UK Central Government. We have now extended our work to engage with local authorities to deliver intranets which actively encourage smarter working. Through our easy-to-use Saas (Software as a Service) platform we give our Government clients the power to control their digital workplace, helping to deliver the right content, at the right time, to the right people, whilst maintaining the highest levels of security, through our ISO27001:2013 certification. Invotra is incredibly proud to have been working with the UK Public Sector for over five years, having been on the UK Government’s G-Cloud Digital Marketplace framework from the very beginning in 2012. Having started initially with consultancy work for the Cabinet Office, Invotra has grown its intranet and extranet technology in a strong partnership with the UK Government. Our trusted relationship with central government departments is based on our continuous efforts to understand their changing demands and the provision of an application that can save departments millions of pounds while delivering a secure, efficient and engaging digital workplace. Invotra helped the Home Office move to a Cloud-run SaaS over four years ago. Previously Home Office was on a legacy content management system that required change requests to do basic operations like change a logo or other branding aspects. Her Majesty’s Passport Office (HMPO) migrated to Invotra in 2015, as part of their internal reorganisation, resulting in deeper ties with Home Office. Following a consulting engagement in 2015, DWP named Invotra as their intranet replacement in early 2016. DfT provides an example of how quickly a department can take advantage of a SaaS like Invotra. In 2016, DfT procured Invotra after an initial search and discovery of vendors. From the procurement decision, it took only three months for DfT to have a new version of their staff directory live. DfT has since retired their old staff directory and continues to use more and more of the powerful social collaboration tools within Invotra. HMRC employed Invotra in 2014 as their Intranet replacement and are still using our product to serve their 87,000 staff today. Some of the challenges highlighted by HMRC at the time was the lack of staff engagement but also the ability for staff to find what’s they were looking for to serve the public. Invotra has been appointed to provide Bracknell Forest’s employees access to a range of interactive features, such as a message wall to encourage collaboration, groups where staff can come together and discuss a particular subject, and a powerful content management system. Additional benefits include single sign on, Invotra will integrate with their active directory meaning users won’t have to remember their username and password each time they log in. Invotra’s ‘software as a service’ (SaaS) intranet platform also means that Bracknell Forest will have access to features and functionality requested and developed for their central government counterparts, at no extra cost. 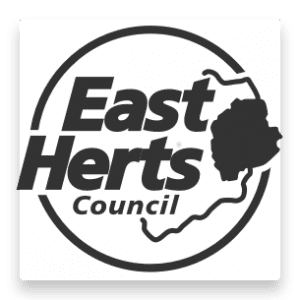 East Herts Council has appointed Invotra to transform its intranet, to encourage greater collaboration among its employees and improve efficiencies. The Council’s updated intranet is now live and is shared with its employees across four sites. East Herts has joined Invotra’s growing list of local authority clients. Invotra have been brought in to solve several challenges the council is facing – delivering multiple services on a tight budget, siloed working and enabling a diverse workforce to work flexibly. Invotra’s digital services will give East Herts staff access to a range of interactive features on its intranet ‘MyEastHerts’ for collaboration and accessibility. 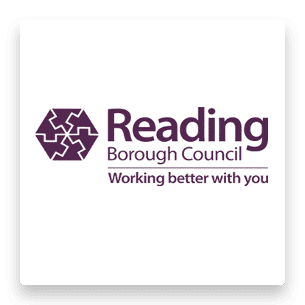 Reading Borough Council approached Invotra in September 2018 and within 21 days of confirming our appointment to provide their new intranet it had been designed, built and was live. Overcoming issues with content and the appearance of their outdated intranet, Invotra was able to provide Reading Borough Council users with a product which could improve staff engagement, encourage collaborative working across departments and improve services to the public. Stevenage Borough Council wanted to provide their councillors with access to the MySBC intranet, and with Invotra Portal secure access could be achieved. 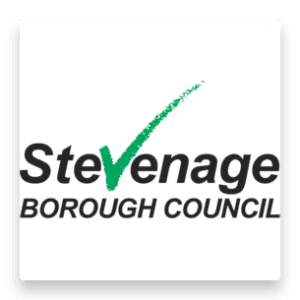 Giving access to external users has allowed Stevenage to grow and include all of their staff within their intranet, removing barriers to communications. Content such as news and policies can now be targeted specifically to councillors, ensuring they have the right information at the right time. Councillors are also able to communicate with other end users through our groups application. With real time notifications and @mentioning functions, councillors are able to quickly question, update and discuss any form of information with other users across the council.